"All aboard the SS American for an all singing, all dancing comedy overflowing with delightful characters, delicious music and de-lovely memories! 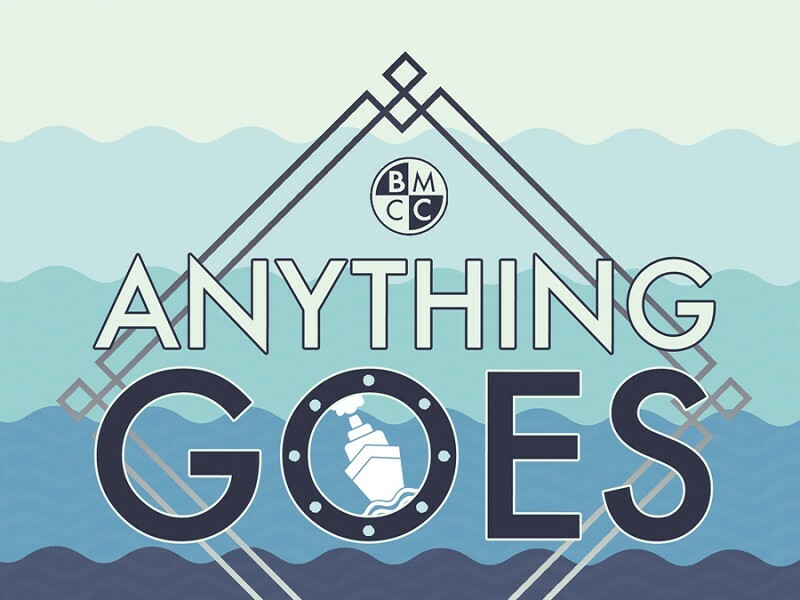 Anything Goes is a shining example of classic musical theatre, complete with amazing tap numbers, laugh out loud humour and joyful plot twists. We join nightclub singer/evangelist Reno Sweeney en route from New York to England. Her pal Billy Crocker has stowed away to be near his love, Hope Harcourt, but the problem is Hope is engaged to the wealthy Lord Evelyn Oakleigh. Joining this love triangle on board the luxury liner are Public Enemy Number One, Moonface Martin and his sidekick-in-crime Erma. With the help of some elaborate disguises, tap-dancing sailors and good old-fashioned blackmail, Reno and Martin join forces to help Billy in his quest to win Hope’s heart. Clear the decks for timeless songs such as ‘You’re The Top’, ‘It’s De-Lovely’, ‘I Get A Kick Out Of You’ and the title song ‘Anything Goes’, all courtesy of the unforgettable score by Cole Porter. Bristol Musical Comedy Club are sure to be making waves when they return to the Redgrave Theatre, so why not push the boat out and buy a ticket to sail away with us this Spring."